You have probably heard of “slipped” or bulging/herniated disc which is a common back injury that can be quite disabling. The good news is that there are easy ways to prevent this injury or manage a disc that has already been injured. BLTs: (Bending, Lifting, and Twisting). Bending: You should make it a goal to bend with your knees and not from your back. 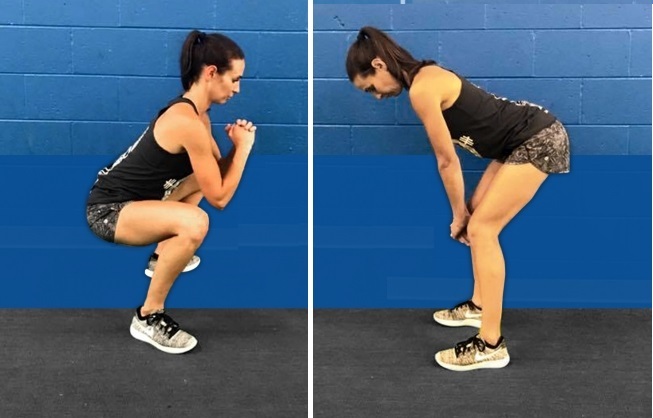 When reaching to the floor, you should bend your knees into a squat or lunge position to lower your whole body to the ground. This will protect your back. Lifting: When lifting you should again emphasize the power in your legs to lift and not your back. Also be sure to tighten your abdominal muscles which can help to support your low back. Equally important is to keep the item you are carrying close to your body instead of holding it away from your body. Each inch away from your body adds an exponential amount of force on your body. Twisting: It is important to turn your whole body and move your feet instead of your back in order to protect your back. In the event that twisting cannot be avoided, ensure that you can tighten and brace your abdominal muscles. However, always avoid twisting while carrying a heavy item or if you are in a forward bent position. Please Note: Your lower back discs are especially vulnerable when all three of these movements are combined – i.e. carrying a heavy laundry basket while twisting and bending down to put it down on the floor. There is an alternative to squatting in the event that your knees can't handle it or the circumstances don't allow it. 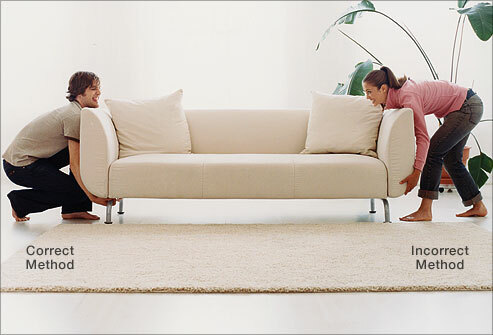 You can perfrom a hip hinge. If your hamstrings are flexible enough, you can bend at you hips while keeping your back straight (your normal back curve). This reduces the load on your back and transfers the range of motion and work to your hamstrings. Always remember that even though bending, lifting, and twisting cannot always be avoided, there are ways to make them safer for your back! Remember the BLTs and you can protect your back! Learn more about proper lifting by Clicking Here.